We've finally implemented keyboard shortcuts into Targetprocess. You can review all the available shortcuts by pressing: "ctrl" + "/" (or, "cmd" + "/" for Macs). There are currently 3 places in Targetprocess where shortcuts are available: views (Boards, Lists, Timelines, One-by-one views), entity views (the screen that appears when you open a card), and Quick Add popups. You can read more about keyboard shortcuts at this User Guide page. We’ve added the possibility to include an Owner lane when setting up a view. This means you can now build views that group entities by the person who created them. Users with admin permissions can easily change the owner using drag and drop. 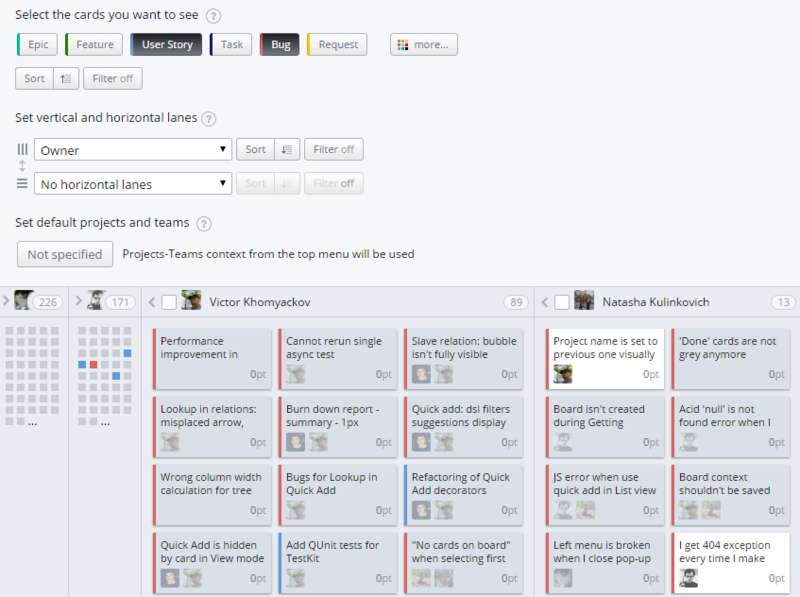 Owners in lanes are filtered by the projects and teams currently selected in the global context.